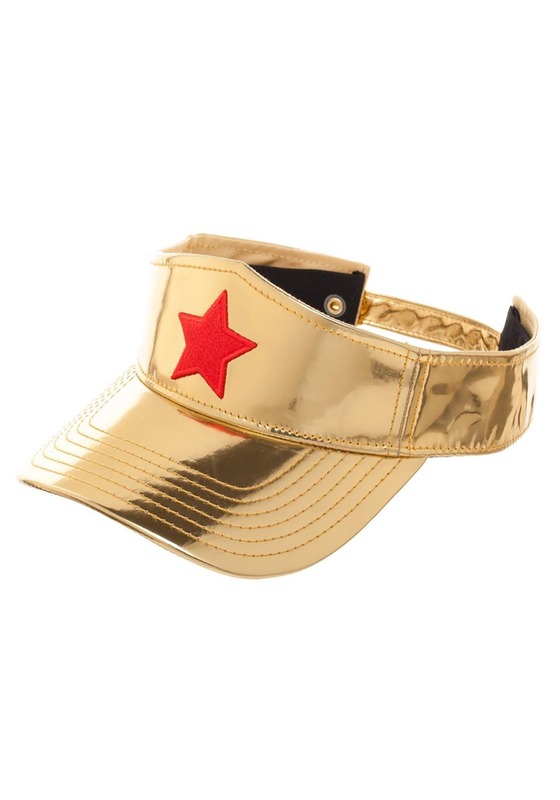 Wonder Woman is probably an excellent golfer. With her super strength, she can easily drive the ball onto the green in a single swing. She also doesn’t need to use a caddy, since she can lift a whole bag of clubs without breaking a sweat. She also doesn’t need to use one of those golf carts, since she can just leap to the next hole in a single bound. There is one thing that she does need to watch out for though! That bright, glaring sun! Even all of her superpowers can’t protect her face from the sun… but that’s something that a slight adjustment in wardrobe can fix! This Wonder Woman visor combines the dazzling style of her normal tiara with a great visor that helps keep the sun off of your forehead. 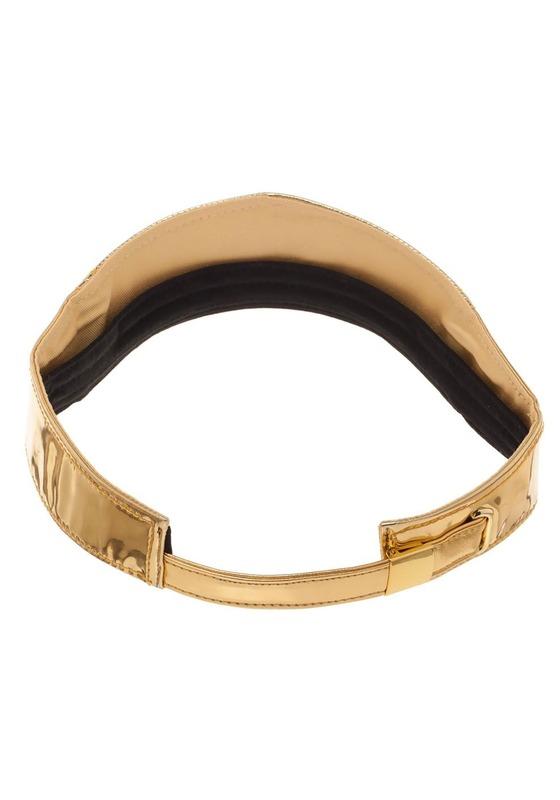 It has a bright gold exterior and an adjustable strap in the back. 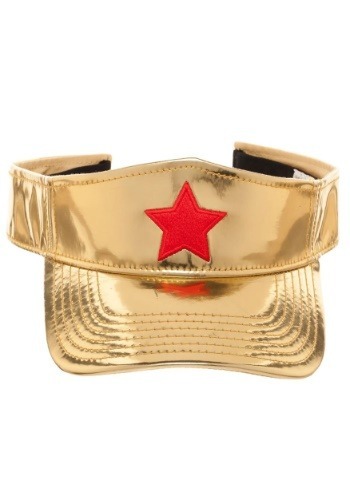 It also features the bright red star on the front. 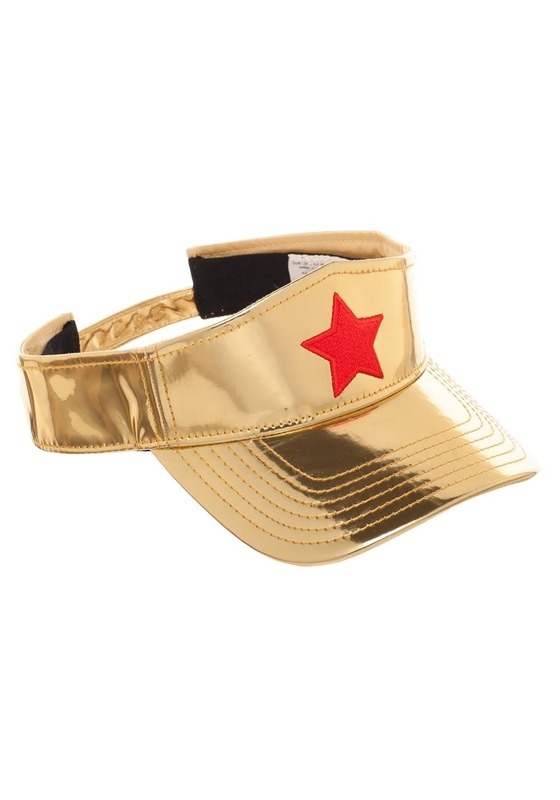 You can pair this visor with a Wonder Woman t-shirt to make a super casual Wonder Woman costume, or just add it to your athletic attire to make you feel like a superhero when you’re out enjoying your favorite sports.